The other day I saw this cute door mat online and knew that I had to have it! 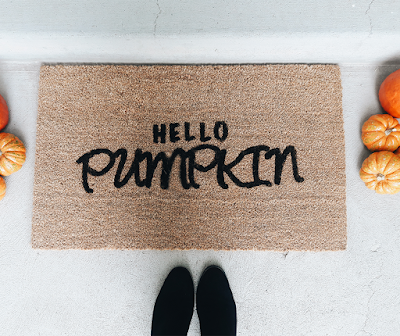 I loved "Hello Pumpkin" from the original door mat and it's perfect for this time of year. I have seen so many other cute sayings. Choose one to express your personality. Place your stencils on the mat and position to your liking. Hold the stencil securely with one hand. With the other, saturate your paint brush in the paint and gently dab onto the stencils. 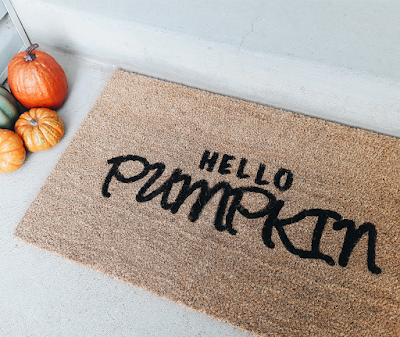 The mat will soak up a lot of paint so don't be afraid to be generous. Continue until you have your desired saying in place. I love how this mat turned out. 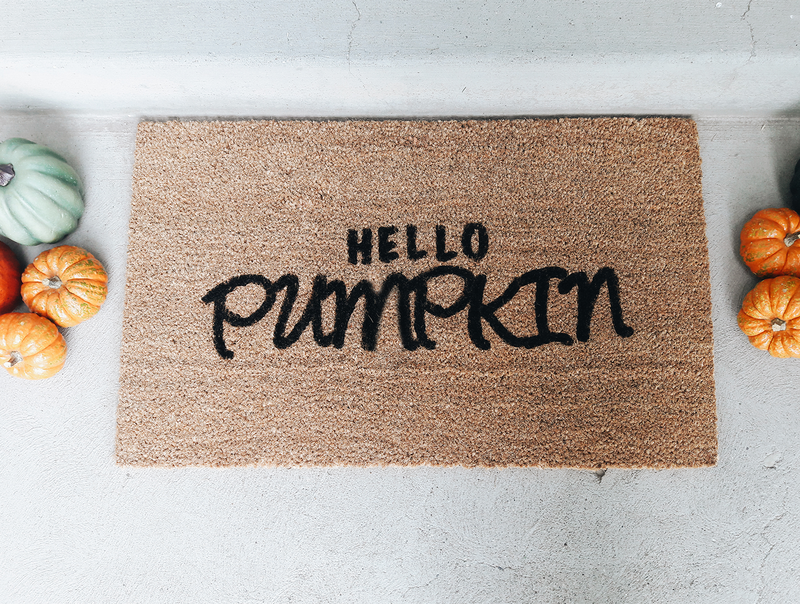 I am so excited to have it on my porch for the remainder of fall. It was so fast and cheap to complete on my own and I think it turned out just as cute as the original. What saying would you have on your door mat?